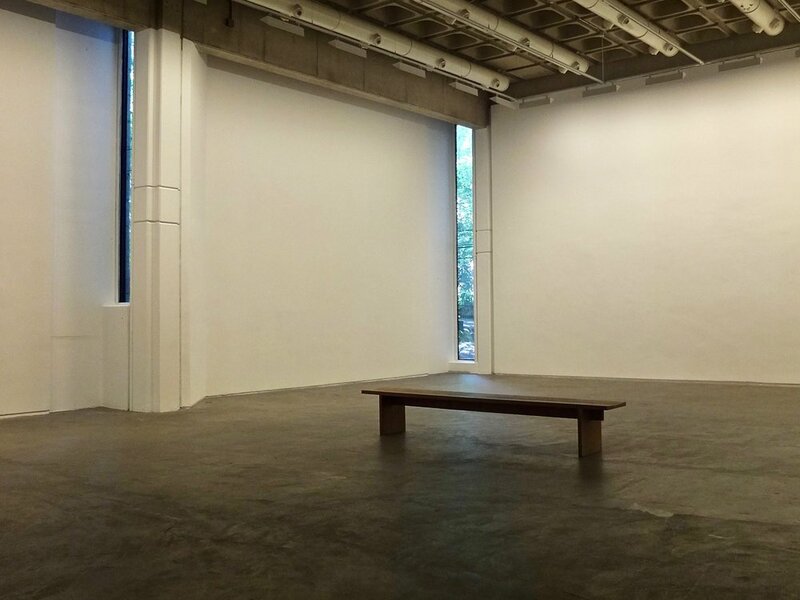 There are two exhibition spaces at The Douglas Hyde Gallery that are used to show concurrent exhibitions. The Gallery is fully accessible and the open floor space can easily accommodate larger groups for talks, tours, film screenings and musical events. Gallery 1 was designed by Paul Koralek of ABK architects. It is an interesting example of late 1970s Brutalist architecture, juxtaposing heavy, angular concrete structures with massive voids. The high walls and large, open floor area create a dramatic and challenging space for the display of artworks. In contrast, the award-winning Gallery 2, designed by McCullough Mulvin architects and opened in 2001, provides a more intimate and meditative environment. Detailed floor plans of Galleries 1 and 2 can be downloaded at the links below. 1. Paul Graham, a shimmer of possibility (2012), installation view, The Douglas Hyde Gallery. 2. Gallery 1, The Douglas Hyde Gallery.